GigaOM have just published data from TV ad analysis firm Ace Metrix that names Apple’s iPhone 4S ad that featured Santa using Siri as the most effective TV spot of the festive season. Apple’s Santa commercial was rated highest according to viewer reactions, beating out rivals including Nintendo and Coca-Cola. All commercials were rated on various metrics including relevance, persuasion, information and watchability. The TV advertisement shows Santa using the iPhone 4S’ voice-assistant Siri to check local weather details, get directions and even search for an email with the “naughty or nice” list. 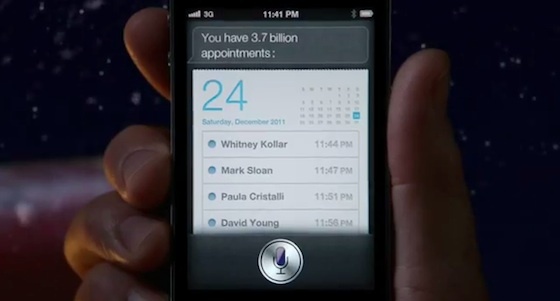 The ad ends with a reminder from Siri that Santa has 3.7 billion appointments scheduled for December 24th. It’s one of Apple’s first TV commercials to predominantly feature dialogue, with Siri offering a new way to highlight the user experience.